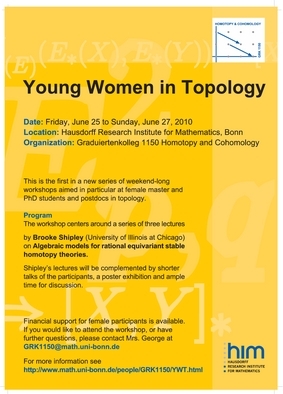 This was the first in a new series of weekend-long workshops aimed in particular at female master and PhD students and postdocs in topology. The meeting took place at the Hausdorff Research Institute for Mathematics in Bonn (Poppelsdorfer Allee 45). 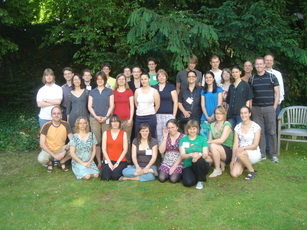 The talks and reception on the afternoon of June 26 took place in the Mathematikzentrum (Endenicher Allee 60). 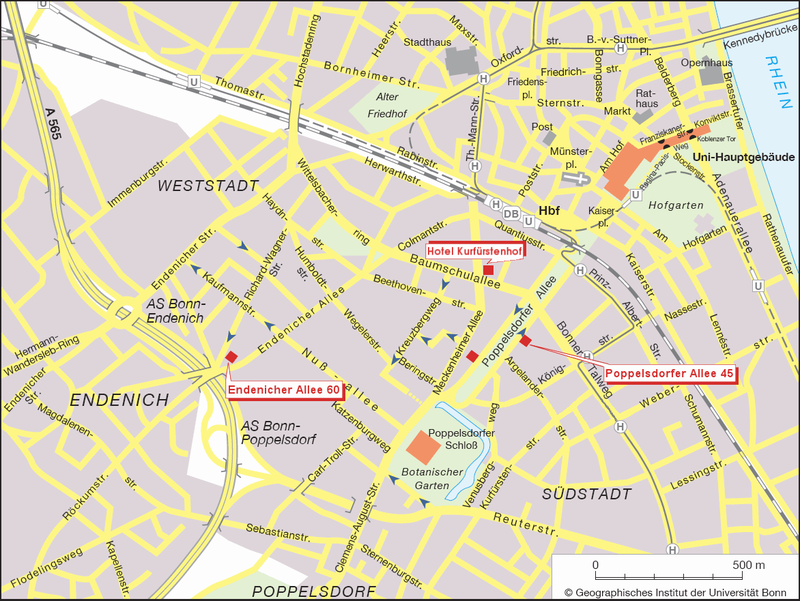 Here is a map of the relevant part of Bonn. 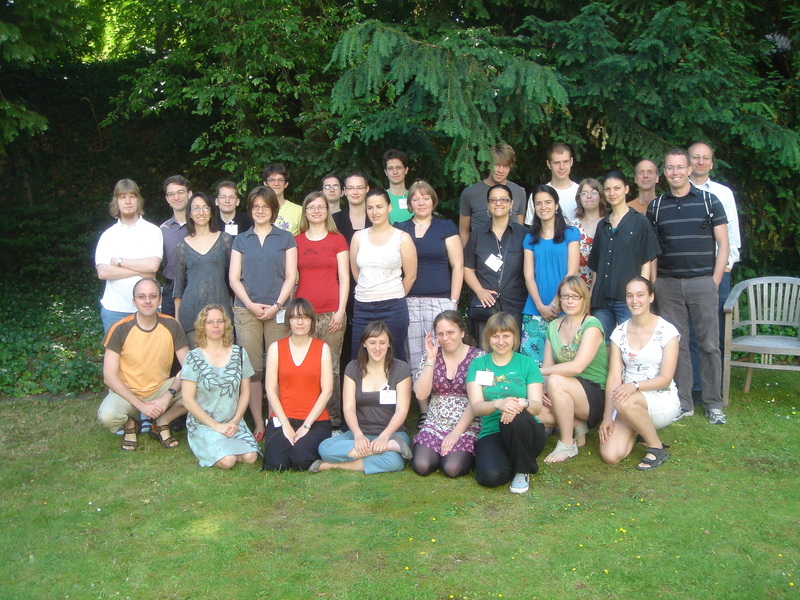 The workshop centered around a series of three lectures by Brooke Shipley (University of Illinois at Chicago) on Algebraic models for rational equivariant stable homotopy theories. Shipley's lectures were complemented by contributed talks, a poster exhibition and ample time for discussion. All talks were open to the public. 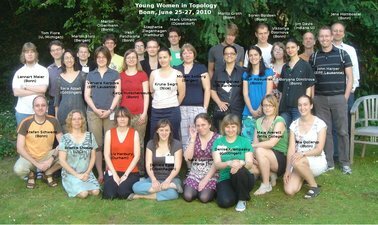 The workshop was organized by the Graduiertenkolleg Homotopy and Cohomology and funded by the DFG (Deutsche Forschungsgemeinschaft). V. Karpova: Why HZ-algebra spectra are differential graded algebras?